Originally known as the Viceroy Hotel, this 32-story tower, shown at the right, has been switched over the years from hotel use to rental to co-op and back to hotel use and then in 2003 to condo use. Its name changed not long after it opened to the Cromwell Arms and then to Delmonico's after the fabled restaurant that moved into it after a succession of uptown moves on October 1, 1929, a few weeks before the stock market crash. 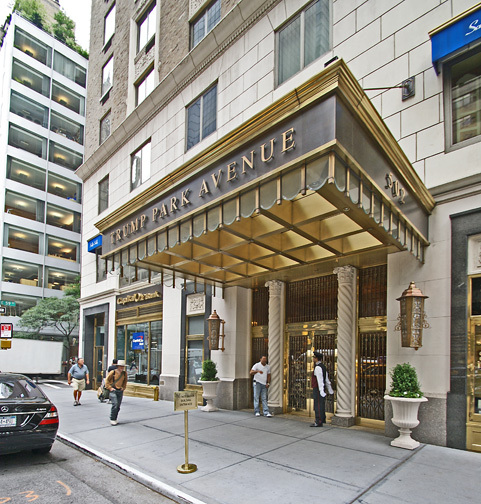 In 2003, Donald Trump took over the property for a reported $115 million and started its $80 million conversion to condominium apartments while changing its name to Trump Park Avenue. When completed in 2004, it will have a duplex penthouse with 17-foot ceilings and 42 oversized arched windows with a price tag of $30 million. 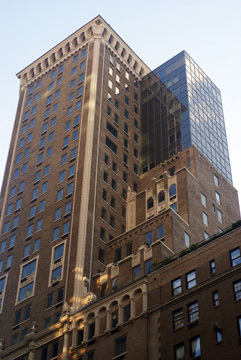 The building's elegant massing, however, was substantially altered in the Trump conversion with the glass-clad addition designed by Costas Kondylis to several floors of the west and north facades of the tower close to its top. Surprisingly, the additions did not raise the ire of preservationists who must have been asleep at their switches as the additions were very inappropriate. Built at a cost of about $5 million, the 525-room property was sold at auction in 1936 for 1.8 million. In "Park Avenue, Street of Dreams," published in 1990 by Athenaeum, James Trager wrote that the building had an apartment "that was called the highest-priced apartment in the world, a fifteen-room triplex occupying the three top floors and rented for $3,750 a month." Most of the residential rooms, however, were quite small, but tenants in 1935, when the building was already in default on its bonds, including former New York Governor Charles S. Whitman and Oliver Harriman, Trager noted. William Zeckendorf Jr. bought the hotel in 1975 and converted back it to a rental apartment building and greatly improved the building's image by leasing space to Christie's, the auction house, and Regine's, the expensive disco and restaurant run by Regine Choukroun. Before long, the building turned into a cooperative only to be turned back into a hotel in the early 1990's. 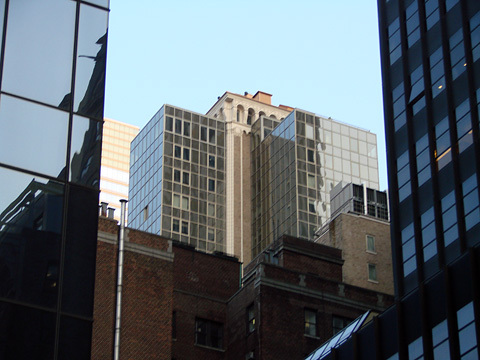 Zeckendorf subsequently built Delmonico Plaza, a midblock office building at 55 East 59th Street, and in 1998 Christie's announced it would relocate to Rockefeller Center. The handsome proportions of this building inspired Charles Sheeler, one of the great American modernists, to paint it, surprisingly from its back rather than its handsome, well-proportioned, set-back front. 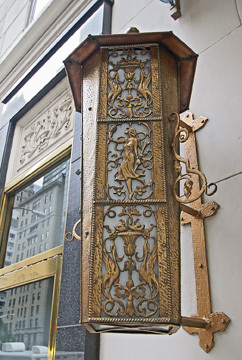 With its three-story limestone base, pitched red-tile roof and brown brick facade, the building has always marked the northern end of the commercial section of Park Avenue and has complemented the taller, grander and flashier Ritz Tower two blocks south across the avenue. 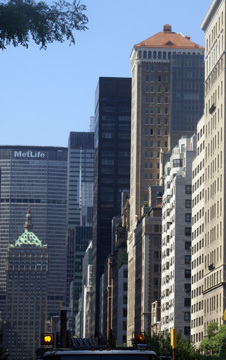 In August, 2007, a 5,284-square-foot apartment was being offered for $42,500,000.